Washington, D.C -- Ben & Jerry’s will join We Are Sikhs (WAS) and Sikhs of New York (SNY) on their upcoming Turban Day 2019 event on April 13 in Times Square. 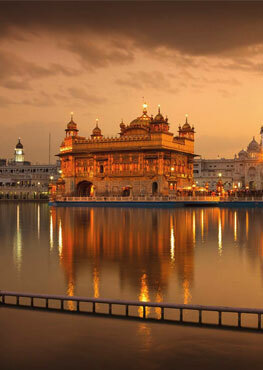 The event coincides with the annual mid-April Vaisakhi celebration, a harvest festival that commemorates the formation of the Khalsa, a Sikh insitiution that instructed all Sikhs to protect equality and religious freedom for all people. This 5th Annual Turban Day, attendees can experience turban tying and learn the significance of the Sikh turban. SNY and WAS expect to tie 10,000 turbans on the heads of both Sikhs and non-Sikhs alike during the event. Last year Turban Day in Times Square set the Guiness Book of World Record of tying 9,000 turbans. “The Sikh turban represents a Sikh’s commitment to stand up for equality for all people and to fight injustice. Unfortunately, many people are not aware of this fact. We are proud that Ben & Jerry’s is standing with us to help inform our fellow New Yorkers while helping them have a good time at Turban Day,” said Chanpreet Singh, Founder of Sikhs of New York. WHERE: Duffy Square in New York, NY where events will place on and around the stage next to the Ruby-Red Stairs at the TKTS Booth in Times Square. WHY: The Sikh community has been the target of discrimination, intimidation, harassment and hate crimes since the 9/11 attacks because of a collective misunderstanding of what the turban means in the Sikh faith. This is largely because of a collective misunderstanding of what the turban means. Sikhs wear the turban to show their willingness to serve others in the community and their commitment to equality for all people. 99% of individuals wearing turbans in the U.S. are of the Sikh faith. Ben & Jerry’s and NSC will be working together in 2019 to further each other’s initiatives and goals.